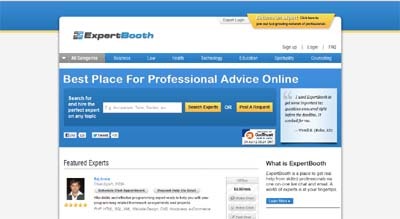 ExpertBooth connects real experts from around the world with people seeking reliable advice they can trust. Talk to experts instantly via video chat, phone and more. It’s fast, easy, and a lot less expensive than an in-person appointment. We are the only video chat professional consulting platform. We intend to make ExpertBooth the best place for online advice and create new revenue opportunities for experts.